New York Painting Services is a full service contractor, proudly catering to the commercial and residential property owners throughout the Greater New York and New Jersey areas. Being completely licensed and insured, we have the opportunity to provide our professional expertise at an affordable cost to the community. With New York Painting Services artisans being among the elite, we can deliver superior craftsmanship, friendly customer service, and traditional standards. 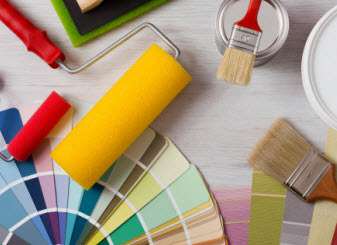 Using high-end products, materials, and equipment, New York Painting Services can ensure the maximum outcome on your project. New York Painting Services has experience offering commercial and residential customers of New York and New Jersey with a variety of services to help you achieve the interior design you love, including the Minimalist Interior Design. Becoming increasingly popular, the modern accent is softer and live variants of this style as opposed to the strict cold motifs from yesteryear. Minimalism consist of low furniture, solid surfaces, sharp lines, and pastel shades, with other colors, softer shapes, and textures; and to apply “simple and natural forms”. The basics originate from an oriental style, specifically classic Japanese design. The founders of minimalism were members of “Style” art group that was founded in 1917 and were famous designers of that era. The designers that favor minimalism reject the dividing squares and promote the visual combination of planes of a building. Minimalist Furniture: In interior design, Minimalism is what implies, spacious rooms with minimal furnishings and details; the style derives from the emphasis of the shape, texture, and color. Modernly speaking, the accent is comprised of sharp geometric shapes and asymmetry; shape wins over the purpose. The furniture must feature streamline shapes and neutral colored leather upholstery. Straight lines and shiny surfaces are ideal in this interior; stainless steel and chrome is widely used, but the accessories should be minimal. Minimalism Floor: Neutral colors, simple designed floors such wood, linoleum or stone tile that are easy to clean and take care of are typically used in minimalism design. Just remember it is necessary to foresee enough space to keep all your stuff. Minimalist Paint Color Scheme: White is the primary color when it comes to minimalism style. 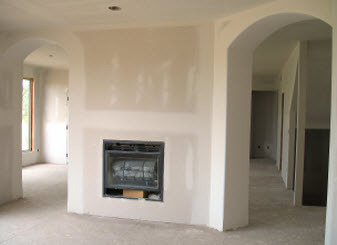 The basics of the walls, flooring, and furnishings are ideally white. If you shy away from the sterile effects of white, you can break it up with grays, beiges, and light-green. 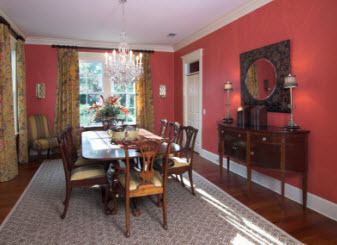 Primarily the base isn’t a flashy color, but choosing a single bright color for accenting is acceptable as well. Traditionally, bright red is the trendy option for highlighting the details on the white backgrounds; but chose a color that is your own tastes. On large walls, consider hanging a sizable pictures or large details on the wall, showcasing a big window without curtains or shades can illuminate the space in a positive way. The interior style is very light and free, hence the growing popularity with minimalism design. It is more than a design; it is a lifestyle that distinguishes the desire for perfect order and organization, particularly popular among businessmen and creative personalities that value the practical nature and simplicity in conjunction with sophistication and beauty. The idea is to express you without excessive use of loud accessories or bizarre furnishings. If you are attracted to strict guidelines and less is more, Minimalism Interior Design is for you. If you need help getting your New York and New Jersey home or business into the Minimalist Design, New York Painting Services has painting and other valuable services to achieve your goal. Call New York Painting Services today to get started!